Thinking about getting a new boat? Tired of hearing about all the fish your buddies are catching? Just bought a new boat are trying to figure out how to maximize it’s fishing potential? Or just want to maximize your FUN potential!? Try Captain for a day!!!! New for 2017 Tuna the Tide Charter Service is offering a service where we can fine tune your boating and fishing skills on our boats or yours. Captain Mark Galasso has been boating and fishing the Kent Island area for over 40 years on center consoles as well as traditional Bay Charterboats. A former Oceanographer with NOAA and past commander and safety checker of the Kent Narrows Power Squadron he can share some invaluable information about the boats and the waterways we use. Captain Galasso has served on numerous boating and fishing committees. He holds a BS degree in Marine Science from the University of Maryland, College Park and has fished and boated literally the entire East Coast. Tuna the Tide Charter Service has won numerous Chesapeake Bay fishing Tournaments and awards. 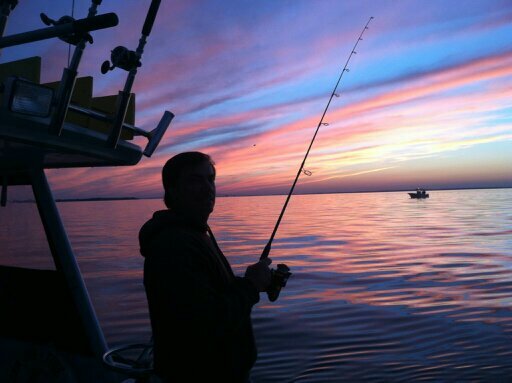 Captain Galasso has also worked closely with Shore Tackle and Custom Rods as well as Annapolis Boat Sales. Tuna the Tide Charter Service currently operates a 35 Markley out of Kent Narrows as well as a 243 Everglades all around the Chesapeake Bay. The Charter Service operates Dive Charters as well as crabbing, fishing and cruising experiences. Our moto has always been to offer customers a great day on the water, not just catching fish but enjoying the total experience. Tuna the Tide is entering it’s twenty first year of operation. Captain Mark also teaches seminars and is a regular writer for the Fishing and Hunting Journal and Upper Bay Boating Magazines.